Our school is located in the centre of the city and there are 380 students with 40 staff members. Our pupils are 5 to 14 years old. 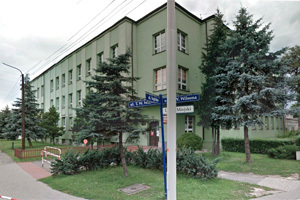 We are one of a few schools in Silesia with Integrated Units. Those classes enable children with certain disabilities to take part in class and school life. Our students are given the opportunity to learn two languages from first grade: English and French. The children come from all types of economic and social backgrounds. There are also a number of classes of Regional History according to our local authority programme. We put a lot of effort into popularizing Silesian traditions and customs specific to our region. We have a Multimedia Centre and two computing classrooms within our school and internet access is available in almost every classroom.